Everything was working perfectly until my phone, Galaxy S9 Plus, updated to Android version 9, Pie a few days ago. I always keep my phone on silent but use the "alarm sound" setting in the app to have the Adthan play even when phone is on silent. This no longer works. When I put the phone volume up, then I can hear it fine again. I have tried reinstalling the app and reset notifications but it is still the same. Kindly update the app to the latest version and let us know if the issue has been resolved. Permissions have always been allowed. However I do not think the issue is with notifications being allowed as when the phone is on loud, it works, so surely notifications have been allowed correctly. The issue is when the phone is on silent, which is how i prefer it to be, i get the notifications at the correct time, but no sound - even though i have the "use alarm volume" on in the settings. Everything used to work perfectly before the android 9.0 update. Has something changed in this update that might be affecting the app from playing the Adhan? If the adhan notifications are not working, are delayed or you see them but have no sound, please check the following points on your Android devices. Test adhan in 10 seconds. This should generate a fake adhan after 10 seconds and allow you to test your notifications and volume. 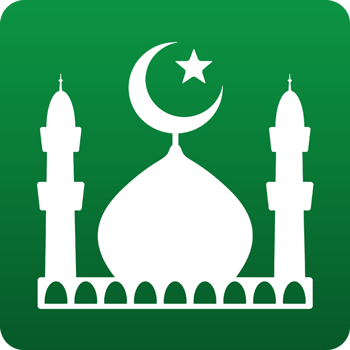 **If you are able to hear the adhan, means that Muslim Pro app is working. You only need to check your device’s notifications and permission settings for the installed app. This will reset the adhan notification to default which normally should be Madinah adhan. [Settings] > [Applications] > [Muslim Pro] menu of your Android device. If you are not getting any notification at all or if the notifications seem unstable (some work and some don’t), please make sure that the Muslim Pro application is installed on the main memory of your device. The Muslim Pro app reprograms adhan notifications every time you restart your phone which requires the app to run on the main memory. If the app is installed on the external storage or SD card, adhan notifications might stop working after rebooting your device. If you are unable to move the application back to the main memory, you can use the “Reset Notifications” feature from the “Settings” screen after every single reboot of your device. I have tested and checked all these settings, but I still can not hear the Athan when my phone is on silent. Even when I test the adhan I hear nothing. This is becoming quite the problem for me as I was very reliant of this app to notify me it's time to pray as I live in the UK and mosques do not have outdoor loud speakers to give adhan. Please can this issue be looked into. Salams, any updates on the athan not playing on Samsung s9? As from our end, the issue is intermittent. We're working on a fix and it should be available very quickly. Thank you for your patience and understanding. Same issue with Samsung Note 9, I cannot change Adhan notification. I am a Premium user.